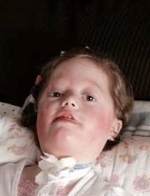 It is with great sadness that the family of the late Kallei Julia Fay Rogers announce her passing at the Janeway Children’s Hospital in St.John’s on Saturday, June 16th, 2018, at the young age of 7 years. Kallei leaves to mourn with precious memories her loving family: parents, John and Katrina Rogers, brother, Declan; grandparents, Len and Vera Mullins; a large number of aunts and uncles; special caregivers; PICU staff at the Janeway Hospital; plus a circle of other relatives and friends. She was predeceased by her grandparents, Cyril and Vina Rogers, and her great aunt, Elizabeth Jackman. The family received friends at Spencer’s Funeral Home in Harbour Breton on Monday, June 18th and Tuesday, June 19th from 1:00 to 4:00 pm and from 6:00 to 8:00 pm. Funeral service took place on Wednesday, June 20th, 2018 at 11:00 am from St. Bartholomew’s Anglican Church at Harbour Breton with Rev. Bruce Vallis and Rev. Juanita Freeman officiating. Kallei touched the hearts and lives of everyone who met her. In lieu of flowers donations may be made in Kallei’s memory to Ronald McDonald House, Janeway Children’s Hospital Foundation and Bay St. George Sick Children Foundation (your choice).